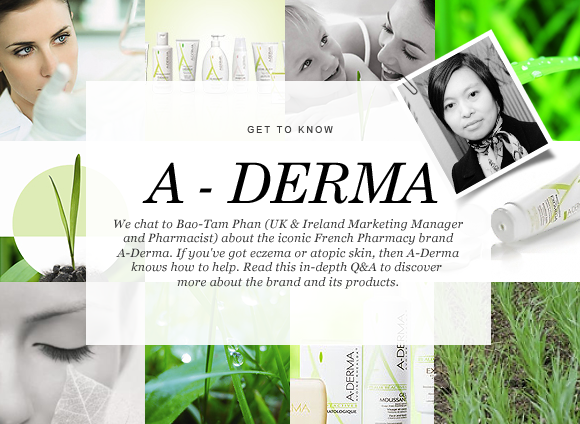 1) What are the core values of the A-DERMA brand? A-DERMA is the first dermo-cosmetic brand to use Rhealba® Oat, a natural, plant-based active ingredient that both soothes irritated and damaged skin and protects fragile and delicate skin. Rhealba® Oat has been selected for its specific properties: Soothing, anti-irritating and high tolerance. 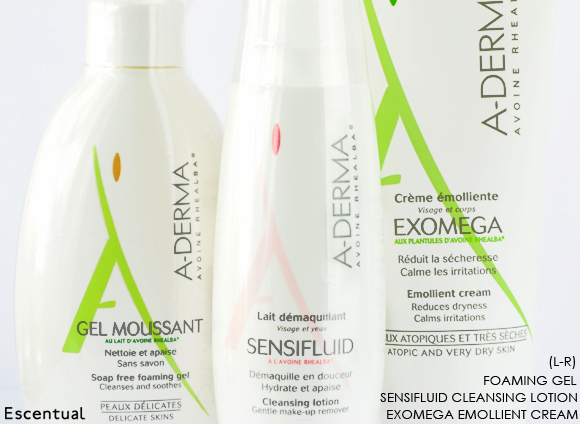 2) So A-DERMA products are really much more than just skin care? They are so much more! What we aim to do is offer our customers the best possible products to alleviate skin concerns without the need for a drug prescription. This is where the concept of Dermo-Cosmetics comes from – pioneered by Pierre Fabre – products dedicated to sensitive or vulnerable skin unlike traditional cosmetics which are suitable for healthy skin. Our team of researchers includes Doctors, Dermatologists and Pharmacists who test and formulate our products as if they were medicines, putting science behind every stage of a product’s development. 3) What is the difference is between a standard cosmetic product and a Dermo-Cosmetic product? To put it in its simplest terms a standard cosmetic product is meant for healthy skin and hair while a Dermo-Cosmetic product is also for sensitive skin and skin types with common ‘concerns’ such as acne, eczema and rosacea or skin that is allergy prone. While these conditions may not necessarily require medical treatment, a dermo-cosmetic product may be used in conjunction with a doctor’s recommended course of treatment. In terms of testing, Dermo-Cosmetic products undergo safety tests but also self-imposed, rigorous clinical trials, which are then objectively measured and evaluated, just like medicines. 4) What would be your three ‘desert island’ A-DERMA products, and why? Sensifluid Cleansing Lotion: Gentle cleansing, make-up remover lotion for sensitive skin. It has a unique texture: Soft, fresh and milky. It comes in a practical and economical pump dispenser. Tissue-off formula which can be used everywhere to keep your skin fresh and clean. Foaming Gel: Soap-free Foaming Gel gently cleanses, soothes and softens irritated skin. It is suitable for babies, children and adults. The soft and creamy foam is delicately fragranced for the entire family. As it is soap-free, it does not dry skin. The formula also neutralises the effects of hard water. EXOMEGA Emollient Cream: Emollient is designed to provide dry and eczema- prone skins with the comfort, softness and suppleness they require. 5) What is your most invaluable skincare tip for parents having children suffering from eczema-prone skin? Applying emollient cream can be a special and soothing moment which is very important for your child’s relaxation and well-being. With very clean hands, warm some cream in the palm of your hands and gently massage your child’s skin to encourage the cream’s absorption, moving in circular motions on the torso, followed by the arms starting from the hands and the legs starting from the feet, and finally the face, avoiding the area around the eyes. 1) What characterises eczema and atopic skin? It is a non-contagious inflammatory skin condition that can affect children and adults. Skin may be very dry, itchy, scaly, cracked and inflamed. It often affects the creases of body joints (e.g. back of knees or inside of elbows). 2) Which A-Derma products are best for those who are concerned with eczema, and what sort of ingredients should they be looking out for? The EXOMEGA range harnesses the skin soothing Rhealba® Oat Seedling extract to help reduce inflammation and minimise the body’s risk of allergic reaction. Whilst Filaxerin® and Vitamin B3 work together to help repair and restore the skin’s natural barrier. Formulated for the daily cleansing of eczema-prone and dry to very dry skin, the A-DERMA EXOMEGA Cleansing Oil gently cleanses using a soap-free formula, soothes skin and improves dryness. For use in the shower, rinse and pat dry without rubbing. 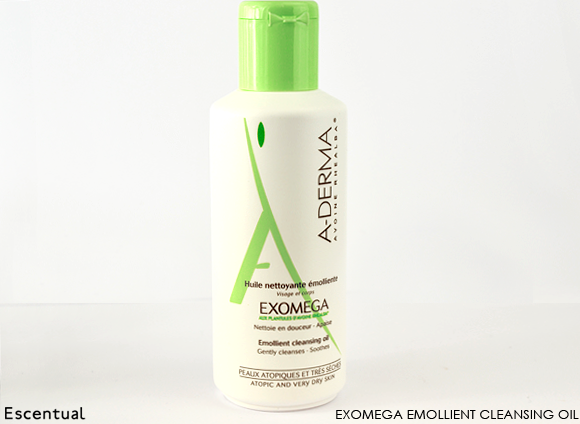 The A-DERMA EXOMEGA Emollient Cream is an emollient designed to provide dry and eczema- prone skins with the comfort, softness and suppleness they require. After using EXOMEGA Cleansing oil, apply the EXOMEGA Emollient cream twice daily to the dry areas of the face and body by gently massaging into the skin. The A-DERMA EXOMEGA Emollient Balm is an emollient designed to provide very dry and eczema- prone skins with the comfort, softness and suppleness they require. Enriched in Shea butter and paraffin oil, it benefits from a velvety smooth texture. It is also ideal for winter when the skin is drier. The range is suitable for babies, children and adults. It can be used alongside any medical treatment during flare-ups, and regularly during periods of remission. 3) How important is constancy in a daily skincare routine? Does it pay to stick to the same products? As mentioned above, the daily routine is essential. The use of a cleanser and moisturiser morning and evening will help to keep the best possible complexion. It is important to follow and understand your skin’s needs and to find the relevant products, especially when your skin is sensitive. Once you have found the right product, why change for another one?! For someone suffering from eczema or dry skin, we would advise using cleansing and moisturising products specifically developed their skin concerns, especially avoiding soap which can strip the skin of its natural oils. Eczema-prone skin is in need of nourishing ingredients to soothe and alleviate the skin all day long. Finding the right combination of products when suffering from eczema-prone skin is essential. 4) Which tips would you give for someone suffering from eczema-prone skin? Following a routine based on cleansing and moisturising is one of the best things to do. 5) Which ‘emergency’ products would you recommend for very sore skin? 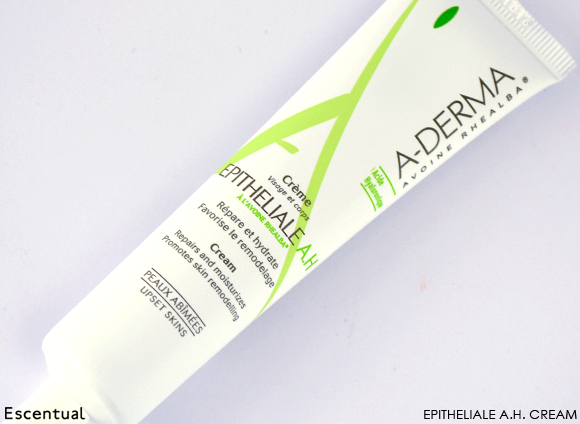 Epitheliale A.H cream: EPITHELIALE A.H Cream helps to promote the repair of damaged skin. Suitable for children aged 2 and over, adults. It has an excellent tolerance and is fragrance free. Having been very pleased with other products from A-Derma I tried this on my very dry, sensitive and eczema prone skin. It's lovely to use and has not irritated my skin at all. I will definately be buying it again. This entry was posted on Thursday, June 6th, 2013 at 9:00 am and is filed under Bath & Shower, French Pharmacy, Skincare, Special Post, Spotlight On. You can follow any responses to this entry through the RSS 2.0 feed. You can skip to the end and leave a response. Pinging is currently not allowed. Due to babies skin being a lot more fragile, we would tend to recommend a product line such as Mustela. It’s suitable for newborns and babies. How old is your little one? Here’s a little more information on the Mustela range for you: http://escentu.al/1TnNHuk. We’re always here if you would like any other recommendations or if you have any other questions!